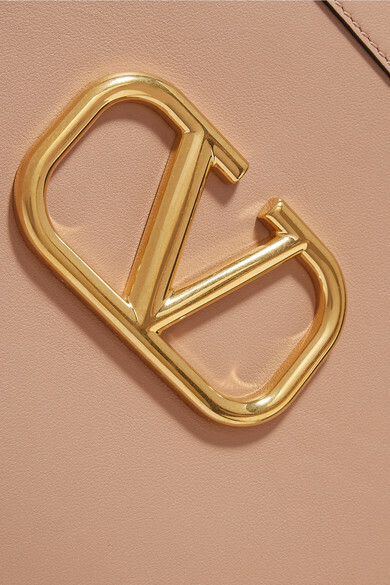 Valentino Garavani introduced the 'Vee Ring' on its Spring '19 shoulder bag, and we predict the moniker will be absolutely everywhere soon. 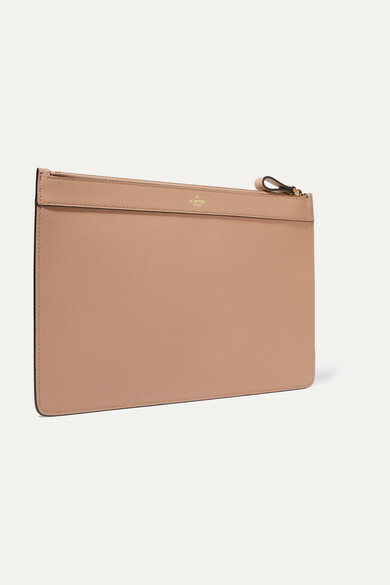 Made in Italy from blush leather, this pouch has a compact interior and fastens with a chunky gold zip. 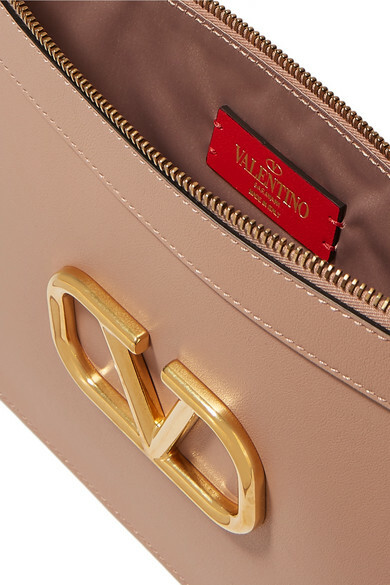 Use it as a catch-all in larger totes or carry as a clutch. Shown here with: Valentino Top, Valentino Skirt, Valentino Sandals.